2019 is slowly creeping up on us! Do you have a marketing plan outline for your small business? If not, now is the time to start thinking about your goals and plans for the upcoming year. It is easy to get off track without a plan. Especially for small business owners, business (or life) issues can pop up and your focus can quickly shift. We’ve all been there before, but scenarios like this easily eat away at your precious time and resources and before you know it, the year is over! Don’t let this happen to you. Unfortunately, many small businesses push off their marketing plan responsibilities. Because they don’t have a grand plan, “it’s OK” when there is another month to do X,Y or Z. This kind of thinking may work on a short term basis, but it’s not sustainable and you could actually end up hurting your business more than you think. Since we’re about to enter a new year, now is the time to envision the success you want. Work to outline the specifics steps you need to take in order to reach your goals, and decide which key performance indicators (KPIs) you’re going to track to measure your small business success. If you don’t have a strategic plan in place, you won’t have any direction for your business. You won’t be able to effectively measure any growth or loss, or have an action plan in place to follow up. A marketing plan outline for small businesses helps to establish your target audience, short term and long term goals, how you want to marketing your business and products/services, any new development plans for your business, and budget projections. Implementing a marketing plan provides a safety net and a guide for your small business, so you can confidently move forward with projects, customers, and products/services every year. Yes, creating a good marketing plan does take time. The more involved and detailed your plan, the longer it will take to format it. BUT, it’s worth it to spend the extra time now to outline your goals and direction, rather than to waste valuable resources later down the road because you forced to guess at every turn. 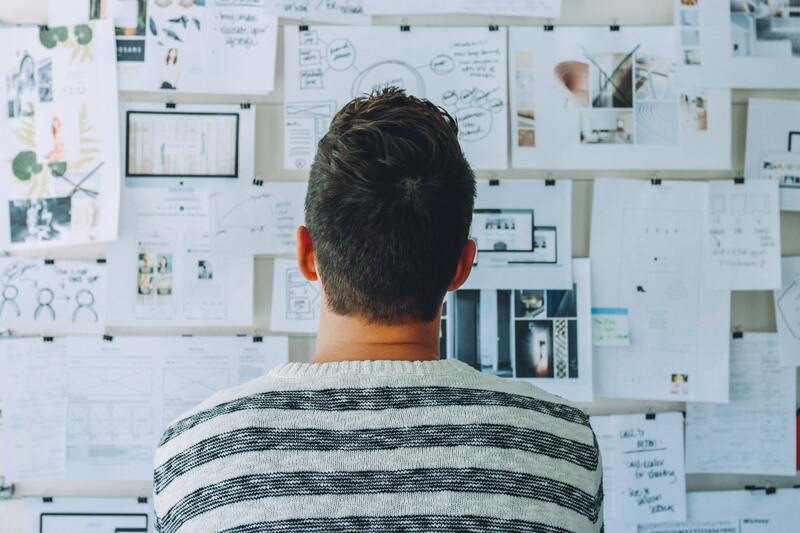 While there are several ways you can design and outline your small business marketing plan, there are some essential elements that every business (regardless of size) needs to outline to make sure they stay on track for the upcoming year. The beginning on any marketing plan should include a short, concise overview of your marketing plan for the new year and the mission statement for your business. Your summary should be no more than a short paragraph about your general business goals. The reader should be able to get all the main points of your marketing plan in this summary. Your mission statement should be included as a way to help you figure out what your new goals will be. Think of your mission statement as a “true north” marker. Everything you plan for your small business should be inline with your mission statement. This is the section where you define your target audience. 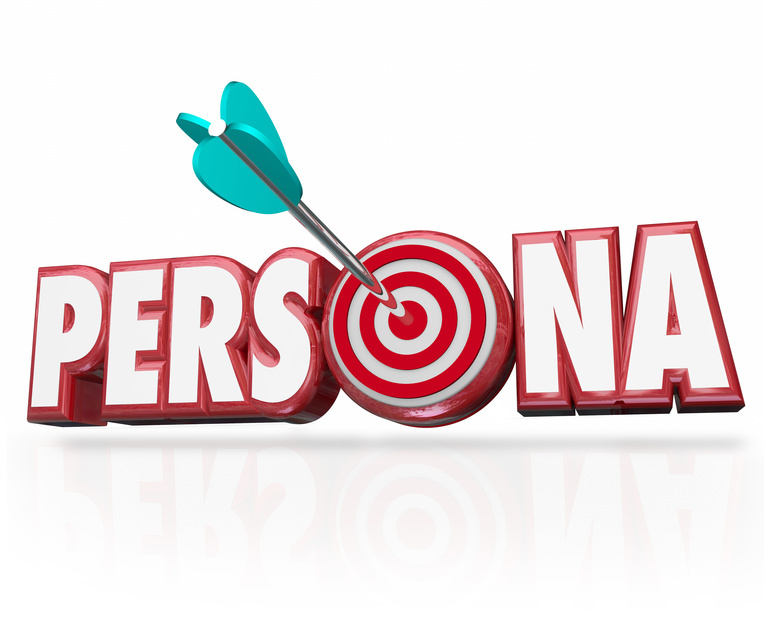 If you already have buyer personas created, feel free to simply add them to your marketing plan. If you haven’t yet created both positive and negative buyer personas, now’s the time! You want to detail your ideal customer’s general demographics (age, gender, income, ethnicity, family life, religion etc), their geographical location, special interests/ hobbies, and buying habits. This detailed information will give you a clear cut view of who you’re marketing to and will give you useful information on how to best market to them. Consider if you want to broaden or narrow your target market, and review how successful your target marketing efforts have been in the past year. How successful have your products and services been? What reviews have you gotten about them? In this section, you can break down your existing products/ services and gauge how they’ve performed so far. Are you meeting your customers’ needs or do you need to go back to the drawing board? You want to know the value that your products or services can add to your customers’ lives and what specific needs they fill. If you see a repeated need that is going unfulfilled, this is your chance to brainstorm actionable ideas for new products and services in the upcoming year. The same thing goes for any major events your business holds. If you have an annual major sale, community event, convention etc, assess how successful they’ve been. Plan any changes you want to implement to them or possible new events you want to host or attend to connect better with your target audience. If you have an amazing product or service, how are you going to market it? 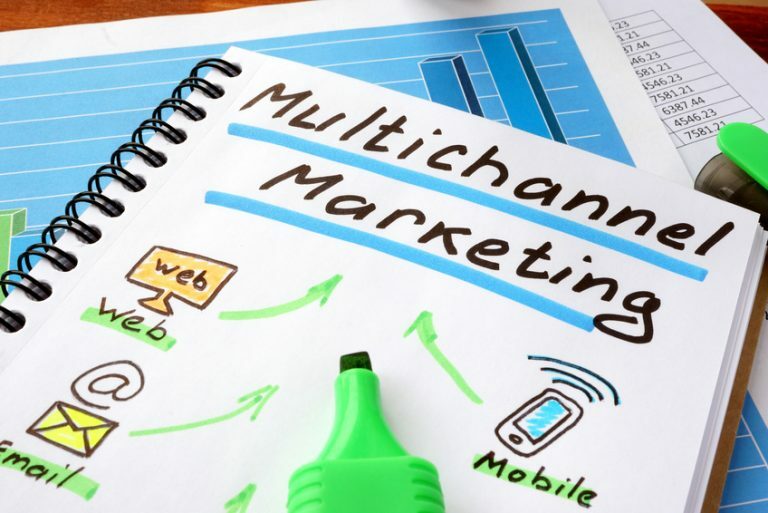 What combination of multi-marketing channels will you use to best connect and share information with potential and current customers? Maybe you want to start using social media more, amp up your business blog, create product and marketing videos, or invest more in local community events. There’s a wide range of marketing channel options you can take advantage of, and it’s up to you to determine which ones will benefit your small business most. Figuring out which marketing channels will work for you comes from creating and understanding your ideal customer buyer personas. You need to market your business, products/ services, and posts when and where your target audience is now. 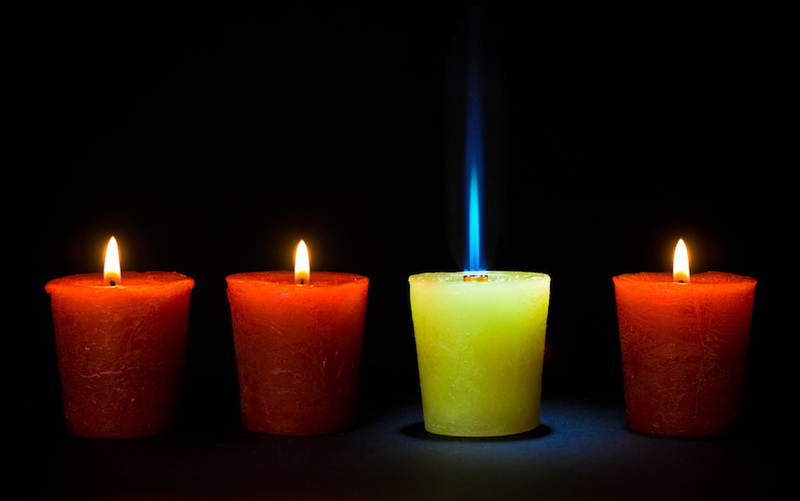 If you’re a small business that’s going to last long term, you need to know what makes you unique. Your USP is what sets you apart from your industry competition. If you’re going to stand out from the crowd, you need to know who “the crowd” is. Make a list of your direct competitors and get familiar with their business model, products, and services. Find any gaps that exist in their services and create a way to fill them. You and any potential customers need to be well-aware of the benefits that come with your specific business products and/or services. List your strengths and weaknesses, and put a plan in place to address those short-comings. If there’s a repeated issue that has been occurring in your sales cycle or products, implement changes to those systems or use A/B testing to figure out what the exact issue it. What are some achievable goals you want to accomplish? And, how are you going to do it? Achievable goals is the keyterm here. Don’t go overboard with all you want to accomplish. Stick to a list of 2-6 specific areas you want to focus on which will benefit your small business. Once you narrow down which areas you want to focus on, you need to lay out (step by step) how you’re going to accomplish those goals you’ve set. If it will help you, set up monthly benchmark goals you want to meet in your way to accomplish your larger goal. You can also create a schedule of tasks you need to complete on a weekly basis to keep you on track as well. It’s not enough to state what your goals are, you need to have an actual plan in place to help you achieve them. If you don’t, you could lose motivation and sight of what you set out to accomplish in the first place. Last, but not least, is ordering your revenue, resources, and money for every aspect of your company. 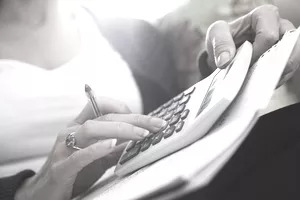 Go over your expenses from the previous year to get a general idea of what repeatable costs you’ll most likely have. Break down each department or section of your small business, understand those department’s goals and plans, and allot funding accordingly. You also need to be aware of your budget for payroll, any new hiring you want to potentially do, and unexpected costs as well. Within this section, you can also project revenue and sales growth or drops you expect to see so you can prepare your small business accordingly. Having a detailed marketing plan outline for your small business will help to hold everyone on your team accountable as the year progresses. By setting specific, measurable goals and creating a detailed marketing plan, you’ll be setting yourself up for success.